354 pages | 7 B/W Illus. 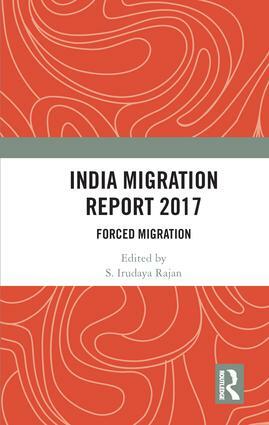 The India Migration Report 2017 examines forced migration caused by political conflicts, climate change, disasters (natural and man-made) and development projects. India accounts for large numbers of internally displaced people in the world. Apart from conflicts and disasters, over the years development projects (including urban redevelopment and beautification), often justified as serving the interests of the people and for public good, have caused massive displacements in different parts of the country, disrupting the lives and livelihoods of millions of people. The interdisciplinary essays presented here combine a rich mix of research methods and include in-depth case studies on aspects of development-induced displacement affecting diverse groups such as peasants, religious and ethnic minorities, the poor in urban and rural areas, and women, leading to their exclusion and marginalization. The struggles and protests movements of the displaced groups across regions and their outcomes are also assessed. This volume will be of great interest to scholars and researchers of development studies, economics, sociology and social anthropology and migration studies. S. Irudaya Rajan is Professor at the Centre for Development Studies, Thiruvananthapuram, Kerala, India. With more than three decades of research experience in Kerala, he has coordinated seven major migration surveys (1998, 2003, 2007, 2008, 2011, 2014 and 2016) in Kerala (with Professor K. C. Zachariah), led the migration surveys in Goa (2008) and Tamil Nadu (2015), and provided technical support to the Gujarat Migration Survey (2010) and Punjab Migration Survey (2011). He has published extensively in national and international journals on demographic, social, economic, political and psychological implications of international migration. He is currently engaged in several projects on international migration with New York University, UAE Exchange Centre, India Centre for Migration of the Ministry of External Affairs and International Labour Migration. He worked closely with the erstwhile Ministry of Overseas Indian Affairs, Government of India; Department of Non-Resident Keralite Affairs (NORKA), Government of Kerala and Kerala State Planning Board. He is currently co-chairing the working group on NORKA for the 13th five-year plan (2017–2022) of Kerala State Planning Board, Government of Kerala, and is initiating the Kerala Migration Survey 2018, funded by the Department of NORKA, Government of Kerala. He is editor of the two Routledge series, India Migration Report (annual) since 2010 and South Asia Migration Report (biannual), and the founder and editor-in-chief of the journal Migration and Development.